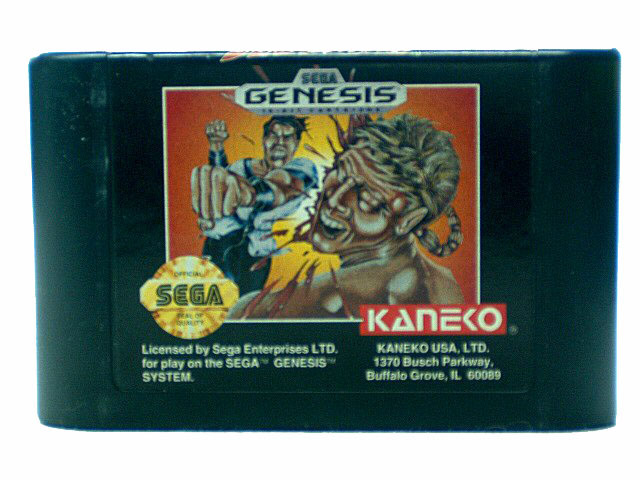 The power and excitement of international fighting action comes to the Sega Genesis in the form of DEADLY MOVES. In this battle for combat supremacy, you'll find yourself in a 10-match tournament with the winner taking home the title. Each opponent has a unique fighting style and special skills that will challenge your abilities and test your mettle. As the game progresses, your foes will get faster, stronger, and better, so be prepared to lay it all on the line if you want to be champion. The 3D environments are well-designed, and the weather and seasons even change as the game goes on. If you think you're the best of the best, the only way to find out is to enter the world of DEADLY MOVES.